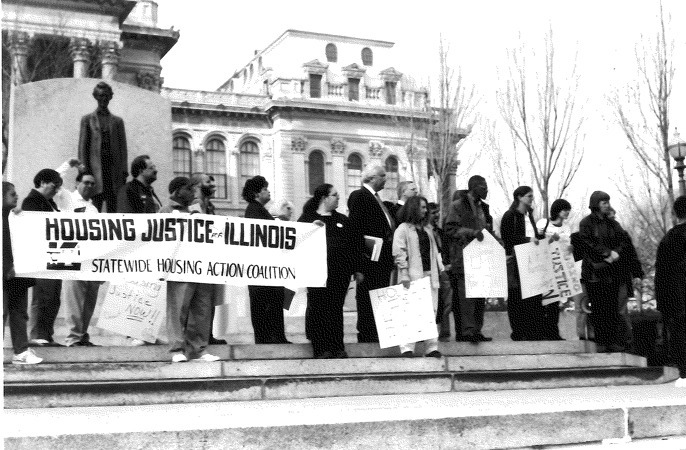 For 30 years, Housing Action Illinois has been building a movement for affordable housing in Illinois. On our own and through coalition work with partners, we’ve been able to secure a multitude of policy victories in Springfield and Washington D.C. that benefit renters and homeowners. By providing training and consulting, we’ve also helped housing developers and housing counselors throughout the state become more efficient and develop their knowledge and skills, enabling them to expand their capacity and better serve their communities. Successfully campaigned to establish the Illinois Affordable Housing Trust Fund, which has helped develop and preserve more than 70,000 affordable housing units since 1990. Helped dozens of organizations to secure Community Housing Development Organization (CHDO) status with HUD to access HOME funds for real estate development projects during the 1990s and 2000s. Advocated for the creation of the state Homeless Prevention Program, which has prevented more than 110,000 households from becoming homeless since 2000 through the provision of small financial grants, primarily to pay past due rent or utility bills. Co-led the campaign for $130 million in affordable housing to be included in the state capital budget in 2009. Between 2010 and 2015 about half of this funding was used to create 653 units of permanent supportive housing, much of it supporting state efforts to help people with developmental and/or physical disabilities move from institutions to community-based housing. In addition, 6,817 mostly first-time homebuyers were helped to buy a home, including 1,902 Veterans and 862 people who bought previously vacant houses in communities hard hit by the foreclosure crisis. Co-led the effort to create the Rental Housing Support Program in 2005, which provides funding to assist about 2,500 extremely low-income households pay their rent each year. 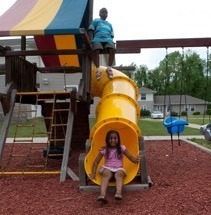 We first began providing education to housing counseling agencies in 2005. The foreclosure crisis increased the need for counselor education, and we became the leading provider of education for housing counselors in Illinois. We became an AmeriCorps VISTA sponsor program in 2010 to help our member organizations build their capacity. In five years, our program has nearly doubled, going from 15 VISTAs placed with host sites to 27. Our VISTAs have raised approximately $3.5 million in cash and in-kind donations, managed thousands of volunteers, and worked on all kinds of projects that expand the capacity of their host sites. Advocated for the successful restoration of a proposed 52% cut (equaling $4.7 million) to the Emergency and Transitional Housing Program in the fiscal year 2012 state budget. This program funds more than 100 nonprofit agencies around the state that provide overnight shelter and transitional housing for people experiencing homelessness. We worked with groups around the country to successfully advocate for $45 million in fiscal year 2012 federal funding for HUD-certified housing counseling agencies after funding had been totally eliminated in the prior year’s budget. Much of this funding provides housing counselors with resources to assist homeowners facing foreclosure. Between 2009 and 2013, we helped win victories for four pieces of state legislation that provide various protections during the judicial process for homeowners and renters at-risk of losing their home due to foreclosure. Most recently, this includes state legislation protecting tenants living in foreclosed properties from being pushed out of their homes because their landlords have fallen into foreclosure. We became a HUD Housing Counseling Intermediary in 2014, which means we manage pass-through funds from HUD for housing counseling agencies, and begin pursuing joint funding applications with member organizations. After our first year as an Intermediary, our network of affiliate organizations more than doubled, increasing from 12 to 26, and we now manage nearly $700,000 in counseling funds. In 2015, in response to a reverse mortgage scheme targeting elderly African American homeowners on the west and south sides of Chicago, we successfully advocated for a new state law providing consumer protections for seniors considering reverse mortgages. We advocated for the establishment of a National Housing Trust Fund, a dedicated fund intended to provide revenue to build, preserve, and rehabilitate housing for people with the lowest incomes. In 2016, the first NHTF funds were distributed to help communities to build, preserve, and rehabilitate rental homes that are affordable for extremely and very low income households. Illinois received allocations of $4.3 million in 2016 and $7.16 million in 2017, which it is using to create supportive housing for people who are homeless or at risk of homelessness, or whose head of household has a disability or illness. 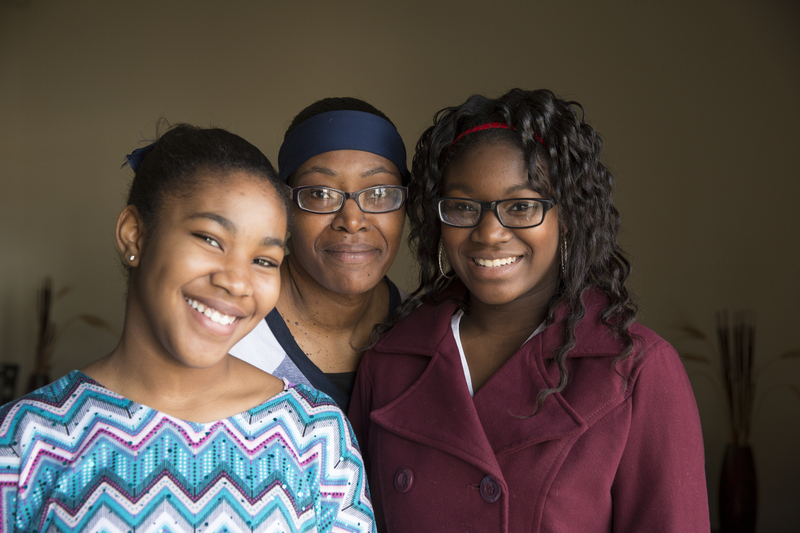 Keshia and her daughters were helped by a program designed to help homeless families transition to permanent housing. They lived in the Mary Pat Maddex Place, a transitional housing site owned by Housing Action member Lake County Residential Development Corporation (LCRDC) in Gurnee. Mary Pat Maddex Place was purchased with Federal Supportive Housing Program funds and received Federal HOME Funds through Lake County for building renovations. While there, Keshia seized the opportunity to get her life back on track. She landed her a job working for the Winnetka School District and moved with her daughters into their own three-bedroom apartment in Lake Bluff, owned by LCRDC, which has also received Lake County HOME and AHP funds for rehab and a new sprinkler system required by the Village. At Welch Woods, residents come home to 42 two- and three-bedroom units with kitchen appliances, washer and dryer hookups, and energy-efficient construction. Built eleven years ago with funds from the Illinois Affordable Housing Trust Fund—whose establishment was one of Housing Action’s first accomplishments—Welch Woods has helped meet the critical need for affordable housing in Beardstown. Housing Action member ICADC (Illinois Community Action Development Corporation) partnered with an employer to build the complex, which continues to remain occupied with a waiting list more than a decade after its creation.